Jeanine Harms, an employee of Amdahl in Sunnyvale who was reported missing from her Los Gatos home on July 30, is characterized by family and friends as a responsible woman who is well-known and well-liked. "She's never, ever not showed up or not called in," said Janice Burnham, Harms' close friend of 27 years. Harms' oldest brother, Craig Sanchez, says that his sister is an outgoing and social person. "She's just one of those people that others take to right away," Sanchez said. "She loves making new friends." Harms, 42, has not been seen since the night of July 27, after a male friend left her at her Los Gatos duplex. Born Jeanine Sanchez in San Jose, Harms grew up in Campbell and is the youngest and only girl among three children. As a freshman at Prospect High School in 1974, she met Burnham, and they "hit it off instantly," Burnham said. Burnham was even engaged to one of Harms' brothers for five years, and now her daughter is best friends with Harms' niece. "Were just kind of like extended family," Burnham said. Later on in high school, Harms met Campbell resident Loretta Meyer, another lifelong friend. "She was always a real prominent fixture at Prospect," Meyer said. A popular and outgoing figure on campus, Harms always dressed in the latest fashions, wearing "micro-mini" skirts and having perfectly coordinated nail polish. "She instantly befriended everyone she met," Meyer said. After graduation, Harms became a part-time student at San Jose State University and earned a bachelor's degree in liberal arts. According to Meyer, Harms' neighbor was a purchasing manager at Amdahl, a local high-tech company and was looking for someone to fill a buyer's position. Harms, fresh out of college, took the position, and had since then "worked through the ranks" in her 12 years at the Sunnyvale company. Approximately six years ago, Harms married Randy Harms. The two lived all over the Bay Area until they fell in love with the resort town of Discovery Bay, just north of Tracy, and purchased a house there. Harms commuted daily to Sunnyvale for three months, until her marriage fell apart. Harms and her husband have been separated for more than a year and are in the midst of divorce proceedings, with a family court appearance scheduled for next month, Meyer said. But Meyer added that it has been an "amicable divorce," and that the two have remained friends. About two months ago, a friend told Harms that she had a unit available for rent in her duplex on Chirco Drive in Los Gatos and was willing to rent it out for $900 a month. Harms moved in April. Meyer said she visited the place at the time and told Harms she was lucky. "All of us knew it was a safe neighborhood; it was an up-scale neighborhood," Meyer said. Meyer joked with Harms, saying, "You could sleep with your door wide open and nothing would ever happen to you." Although Harms is described as having an active social life, her friends said that she loved her job and worked hard. Harms, Meyer said, often joked that she would have to be dragged out of her seat if the time ever came for her to leave the job. Meyer said that Harms learned very quickly at Amdahl and grew friendly with different vendors she'd encountered at the job; since her disappearance, various vendors have contacted Amdahl and volunteered to contribute to a reward fund. "She's very responsible, very punctual," Sanchez said. In addition, Meyer said that Harms is "spunky," has a wonderful sense of humor and is extremely extroverted. "She's an easygoing warm person and a beautiful woman too," Burnham said. On July 27, Harms sat at a table at Bucca di Beppo's in the Pruneyard in Campbell, keeping Burnham and a friend company. She had a date at 7 p.m., Harms told Burnham, to have drinks with a man she didn't know very well and wasn't intending to spend too much time with. They were meeting at Rock Bottom Brewery, also in the Pruneyard. That man, later identified by police as William Alex Wilson III of Santa Clara, is not considered a suspect in the case. Harms indicated to Burnham that she planned to stop by a bar in Campbell later and listen to music. Instead, police reports indicate that Harms and Wilson went to Court's Lounge in a group, returned to Rock Bottom, where Harms left with another man who has been interviewed by police. The two returned to Harms' house at around 10 p.m., and the man left at 1 a.m.
Burnham tried to call Harms several times during the weekend because Harms usually calls and reports how the date went. Burnham says that she left several messages on the answering machine and tried calling Harms' cell phone, which was turned off. "Then I started getting really worried," Burnham said. When Burnham called Amdahl on Monday morning looking for Harms, they told her that she had not shown up. Burnham, Harms' parents and her brother Wayne, and the friend who owned the duplex went to Harms' place on Monday morning. They noticed her car was at the house, but Harms was missing. They then called the police. Los Gatos-Monte Sereno police found that some of the items in the house had been moved or removed "in such a way that they could've been consistent with foul play," said Sgt. Kerry Harris. Police are not releasing that information because "if there is a suspect involved, we want to have some things that only the suspect will know about," Harris said. Harms' other brother, Craig, was in town from Washington, D.C., on a family vacation when his sister was reported missing. "We were kind of in shock at that point," Sanchez said. As soon as the news leaked out, Sanchez said, "we had literally hundreds of callers and people coming by offering assistance." Meyer's husband, a private investigator, was contacted by the Sanchez family. 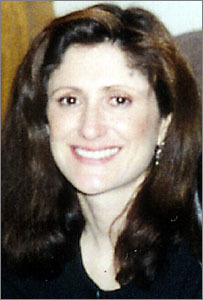 Meyer heard about her friend's disappearance from her husband. "The pit of my stomach just dropped, just fell," Meyer said. "I'm preparing myself for the worst, but I'm hoping that we find her and she's alive." In the days after the disappearance, different organizations were mobilized in their rescue efforts. Police put out a missing person teletype all over the county and state, and the investigation is continuing with the use of the K-9 units and the county crime lab. Print and broadcast media have aired reports with photos of Harms, and TV show America's Most Wanted was scheduled to show a clip of the disappearance. Harms' friends and co-workers have volunteered their time to help out; Amdahl is in the midst of establishing a reward fund. Craig Sanchez, the family spokesman, says that his cousin, Josh Golden, immediately volunteered to set up a website, at findjeanine.com. "I can feel glad that we were able to keep moving so quickly," Sanchez said. The family, Amdahl and police are coordinating their efforts to print out a flier for distribution. Sanchez and his brother also visited Harms' favorite restaurants and bars in Los Gatos and Campbell. Sanchez said that the staff at places such as Steamer's, California Café and Tapestry knew Harms as a regular customer. The family had, in fact, had dinner at Tapestry the evening before Harms' disappearance. Burnham and Meyer have spent every evening at the Sanchez family home, keeping Harms' elderly parents company. "It's fortunate that Craig was out here," Meyer said. "He is trying to shield the Sanchezes from as much grief as possible." Burnham has helped with the fliers and is working with the media.